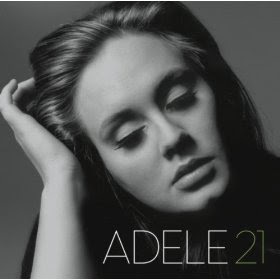 Finally got around to purchasing Adele 21. I have no idea what possessed me to wait so long. If you haven't already, check it out. For more Adele: This Tiny Desk Concert is amazing. P.S. I prefer to purchase my mp3 downloads from Amazon as opposed to iTunes so I can save them to our external hard-drive and listen to them in any media player. I'm sure this album is also available on iTunes and in stores all over the place.